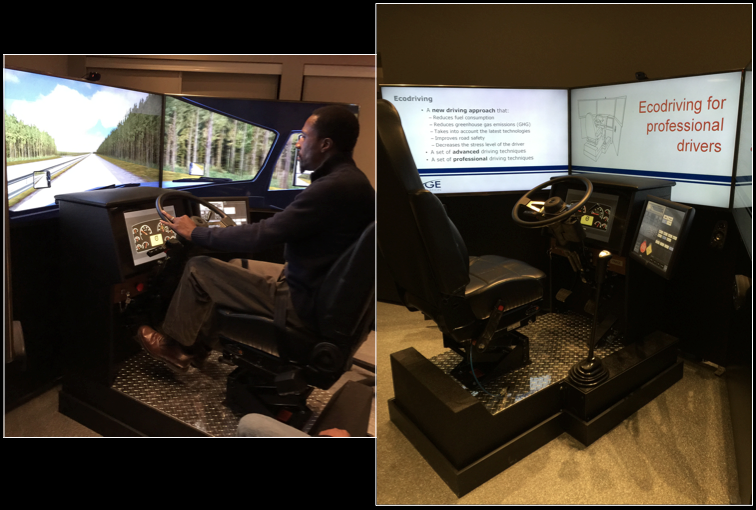 Montreal, December 19, 2014 - Virage Simulation delivers a VS600M truck driving simulator system to Commercial Heavy Equipment Training Ltd.
Virage Simulation Inc., a Canadian leader in car and truck driving simulator systems, services and turnkey-training solutions, delivered a VS600M truck driving simulator to the Commercial Heavy Equipment Training Ltd. (CHET) located in Mississauga, Ontario. Transportation companies now demand that new drivers graduate from a certified training program as a prerequisite to employment. CHET provides high caliber trained graduates to the transportation industry.